People watched prototype sections of a border wall between Mexico and the United States under construction in Tijuana, Mexico. HEADING INTO the new year in the midst of the government shutdown, President Trump launched a Twitter barrage to press his case for a multibillion-dollar wall on the US-Mexican border — a project Congress has so far refused to approve. One of his tweets called attention to Barack and Michelle Obama, who bought a large home in Washington’s Kalorama district after leaving the White House. As Trump tweets often do, this one got the details wrong. The Obamas don’t have a “compound,” and their home is not surrounded by a 10-foot wall. Indeed, the front of the house is completely visible from the street. Still, the president’s argument is clear: Just as the Obamas secure their home from interlopers, the United States should secure its borders against uninvited migrants. 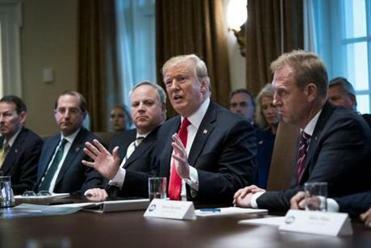 No one budged at President Donald Trump’s closed-door meeting with congressional leaders, so the partial government shutdown persisted. They’ll all try again Friday. The comparison is seductive. But it doesn’t stand up to scrutiny. First and most obviously, homes are private property. Your house is your possession. You have a personal, exclusive right to occupy it, to bar others from entering it, to safeguard it with locks and alarms and fences, and to sell or give it to someone else. The United States of America, on the other hand, is nobody’s possession. It’s a sovereign political jurisdiction, a commonwealth — not a chattel that you or anyone else can dispose of at will. The proprietary authority you have within your home does not extend to your neighbor’s home, let alone to the street and sidewalk outside your door, still less to the public square downtown or to the highway that leads out of state. You can’t put up a wall to exclude travelers from the next town over. The territory of your neighborhood, your state, or your country is not something you own. The analogy collapses in other ways too. Every burglary causes, on average, a loss of more than $2,400. According to the FBI, Americans in 2017 were robbed of an estimated $3.4 billion by thieves who unlawfully entered their homes or offices. But the aggregate impact of immigration to America, this year and every year, is to make the nation richer, not poorer. For every 1 percent increase in population due to immigration, calculates Moody’s Analytics, the US economy expands by 1.15 percent. 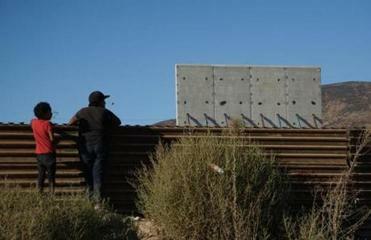 There’s another fundamental incompatibility in the house/border analogy. Locking your house against strangers deprives none of your neighbors of their freedom to welcome visitors. But that’s exactly what a border wall does. It isn’t only would-be immigrants whose liberty is restricted. By excluding peaceable foreigners who would otherwise get jobs, purchase goods and services, form friendships, or raise families with US citizens, militarized border security blatantly interferes in the lives of countless American men and women. People lock their homes because it helps keep them safe; it’s a precaution that costs little and has no downside. Only at the most superficial level does it resemble the increasingly impenetrable barriers that have been put in place to seal America from foreigners who wish to live and work among us. No one objects to reasonable border security, but there is nothing reasonable about turning the border into a fortress of concrete walls, Predator drones, and tens of thousands of heavily armed agents. “Locking the door” makes a bad immigration policy. It makes an even worse immigration analogy.